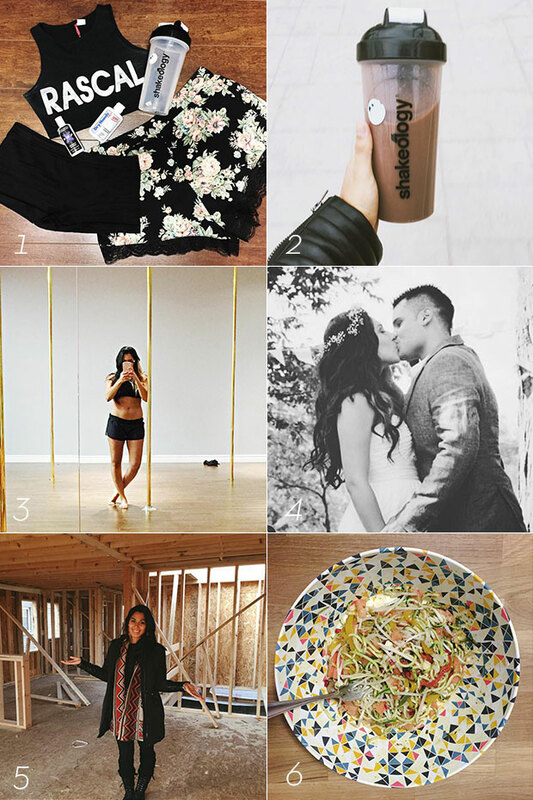 Having a look at my week on Instagram! 1. Pole Look – Left my desk at work for an afternoon lunch hour of pole magic! Fitting pole into my workday has become easy! The only reason this is possible is because I work ten minutes away from the studio! 2. Shakeology superfoods every day! This is the way I get out of the house fast and with an amazing foods in mah belly. All my days have started like this for 5 months straight! It’s the best thing I drink all day. If you want to learn more about Shakeology check out my team site! 3. My body hasn’t felt this healthy ever before. Every day it gets better, stronger, leaner, and stronger. The studio is one of the few places where you can be comfortable in your skin and forget about everything else! I was very grateful for my body this week and that my friends is a good week. 4. This week I was featured on Samira’s blog where I spoke about marriage and answered some questions on the subject! It was super fun and she is super sweet! 5. Our house’s walls are up and it’s so surreal! We snuck into our house and walked in through the opening where our front door will be. Only 240 days left until we say home sweet home! 6. I finally got a spiralizer and made zuccini pesto for dinner! It was heavenly and easy and so quick!! A very fun kitchen gadget.